As in previous years, the Escola Europea – Intermodal Transport has concluded with great success another edition of the MOST (Motorways of the Sea Training) Italy course in intermodal logistics for Italian professionals. From 29 September to 2 October, 32 participants from Italy and Brazil attended this edition of the training. The inauguration ceremony was held at the Port Authority of Civitavecchia, seat of the ADSP of the Centre-North Tyrrhenian Sea and founding member of the Escola. 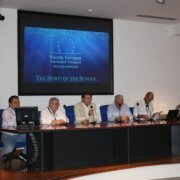 Its president Francesco Maria Di Majo, accompanied by the Director of Harbour Security of the Ministry of Infrastructures, Mauro Coletta, have given the welcome to the participants and briefly introduced the present and the near future of intermodality in the Mediterranean and the fundamental importance of training in order to exploit the whole potential of the motorways of the sea. 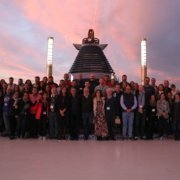 Following the first theoretical classes on land, the large group of participants, accompanied by the teachers of the course, all of whom were experts in short sea shipping (SSS), boarded the Grimaldi Lines Ro-Pax vessel CRUISE BARCELONA, en route to Barcelona, along one of the motorways of the sea studied in the course. Once again the Escola Europea was able to count on the collaboration of RAM (Rete Autostrade Mediterranee) Logistica – Infrastrutture – Trasport and ALIS (Associazione Logistica dell’Intermodalità Sostenibile), as well as the support of the Ministry of Infrastructures and Transport, Confitarma and Assoporti for the organisation of the training. During the four days of the course, the participants studied logistics and transport issues through theoretical lectures and practical workshops. Andrea Campagna, from the Research Centre for Transport and Logistics of La Sapienza University in Rome, offered an in-depth analysis of transport costs, service times and other competitive factors to open the debate on the feasibility of a sustainable alternative to short sea shipping; Francesco Benevolo, director of RAM SpA, presented a wide overview of the motorways of the sea in Europe and explained the European Union’s environmental policy on transport, paying special attention to the fiscal incentives MAREBONUS and FERROBONUS, designed for intermodal transport; Nicolò Berghinz, representative of ALIS, presented some real cases of companies affiliated to the association that have successfully focused on intermodality to grow in the world of transport. 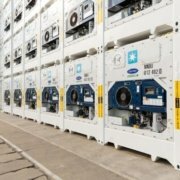 The shipping companies and ports involved in the motorways of the sea between Spain and Italy explained the functioning of their infrastructures dedicated to short sea shipping: for the Port of Barcelona, Ana Arévalo, Commercial Manager specialized in SSS; for Grimaldi Lines, Commercial Manager Marcello Donnarumma; for GNV, Alessandro Feniello, Sales Freight Manager of GNV and for the ADSP of the Northern Central Tyrrhenian Sea, Giovanni Marinucci, Head of International Projects, who offered a presentation of the Port of Civitavecchia. 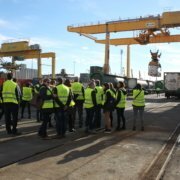 The contents of the course have been custom designed for the Italian professionals who attended the course, who came from different transport and logistics companies, four port system authorities and two higher technical institutes (ITS) in the Mobility area. 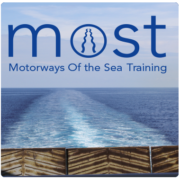 The aim of the training is to present participants with all the benefits to achieve by incorporating motorways of the sea as a key element in building efficient and sustainable supply chains. In addition to the theoretical lessons and workshops, the participants worked hard to solve a case study and were able to observe closely the infrastructure and equipment involved in intermodal operations. Finally, networking activities were organized to facilitate the development of networks of contacts between professionals and experts in the Italian sector who participated in the course. The comments received from the participants were very positive. 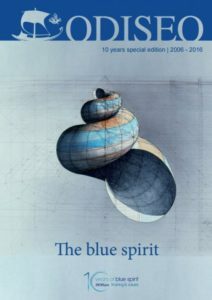 The level of satisfaction in this, as in the past, edition was very high: “I feel lucky to have been able to learn with and from professionals in the field, and with a spectacular organization”. 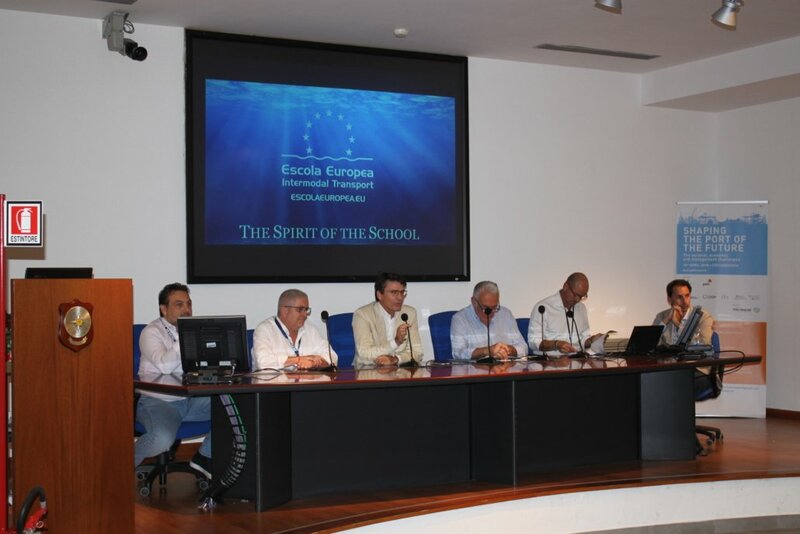 The Escola would like to thank all its founding members (Port de Barcelona, ADSP of the Northern Central Tyrrhenian Sea, Ports of Genoa, Grimaldi Lines and GNV) for their usual cooperation and generosity. The dates for the fifth edition have already been set: from 5th to 8th of October 2019. This year the Escola is also planning a course in intermodal maritime logistics for Spanish and Portuguese professionals, MOST Iberia, to be held from 20 to 23 October 2018.